Those will be some fantastic socks! I know I'd have to knit them in peace and quiet. That little heart makes me smile. Gail, I felt bad there was no orange in the heart. I'm glad it doesn't need it. Nice border treatment! 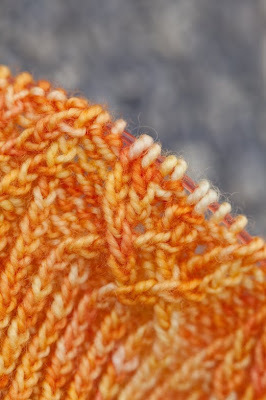 I knit that sock when it first was published and it still is one of my favorite sock patterns ever. I knit mine in DIC Smooshy. The pattern does look challenging...however I think it is going to look so beautiful when your done. Love the yarn too. 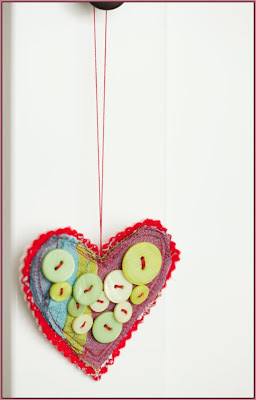 - the heart...so very pretty and so nice of C.
Gorgeous springy colorway!! That sock is going to be beautiful! Happy weekend from sunny NOLA (73 degrees today!). thanks for the reminder. i can always come here and be soaked up in wonderful happy colors. Checked out the socks you are making, I wonder how they will fit, the pattern is very pretty. The heart is a dear sweet little thing.